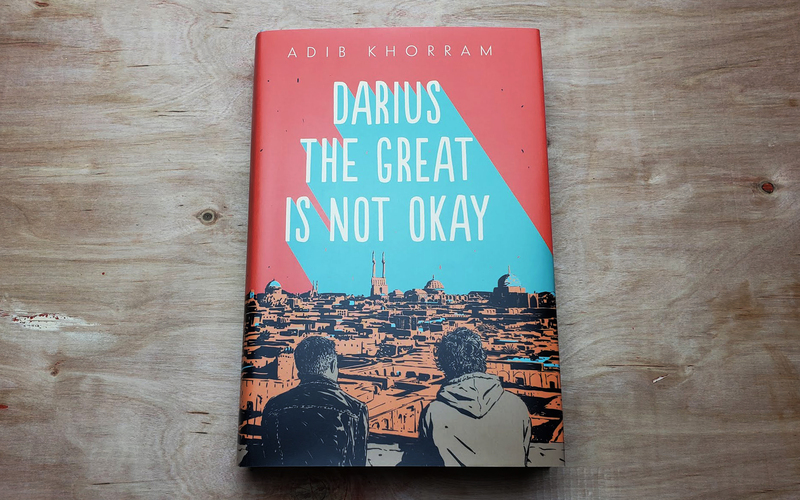 Life is tough and sometimes to get through we have to find joy where we can and I was reminded of this while reading Darius the Great Is Not Okay by Adib Khorram. This YA novel is the story of Darius Kellner, a Persian-American teenager battling his identity, bullies, and depression. I wanted this month’s box to include items that reflected some of the things Darius takes joy in. Although Darius’ relationship with his father is strained, there are a couple things they have in common with one of them being a love for Star Trek. Now, I’m no Trekkie but I DO know one of the baddest sistas in space, Nichelle Nichols AKA Lieutenant Uhura so if we’re going to pay homage to Star Trek this bookmark from What If is the only way to do it. Darius is a tea lover and he takes it seriously mindful of flavors, temperatures, and steeping. In this story tea is not just something Darius enjoys but is also a way in which he connects with his family. In your box, you will find a tube of tea from Luna Tea Co. Put a few pinches in a tea infuser, steep in a mug of hot water, and enjoy! In the novel, Darius and his family visit his grandparents and extended family in Iran and forms the kind of friendship he struggles to make at home. Once he returns home they maintain their friendship through emails. Although no one uses snail mail for overseas communication anymore, I thought this airmail pouch from Blue Q was a nice nod to the long-lost way of communicating. Darius struggles with depression and often feels invisible in his own home and could use a little reassurance every now and then as I’m sure we all could. Although it’s just gum, the packaging on the last item in your box is the more important thing. You are loved. So there you have it, our second to last YA selection of the year! Can you believe it’s already September? And before you know it December’s box will be headed your way, so be sure to tell a friend so they don’t miss out!